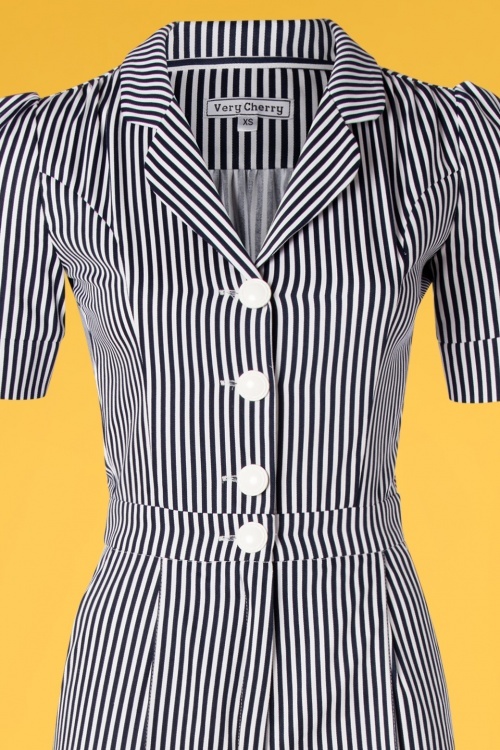 If you're in between sizes and have a full cup size (D+), we recommend ordering up so the buttons remain closed. 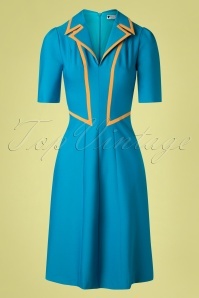 The fabric barely stretches. 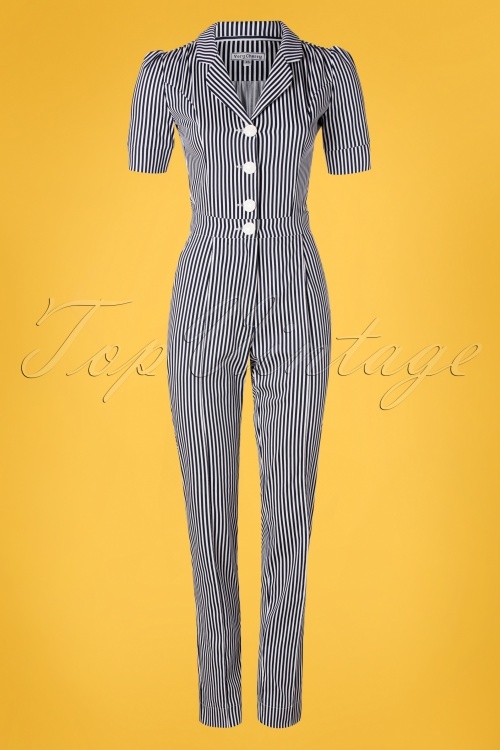 Be a power woman in this 40s Classic Jumpsuit in Navy and White Stripes! 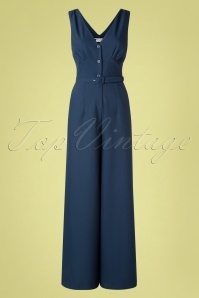 A timeless jumpsuit featuring a bodice with a V-neckline, a rounded collar, a row of buttons and short puff sleeves. 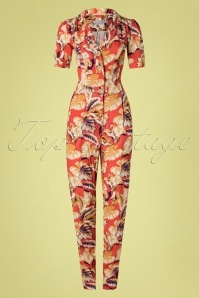 The flattering wide legs make your legs look super long while your waist is accentuated by the waist band. 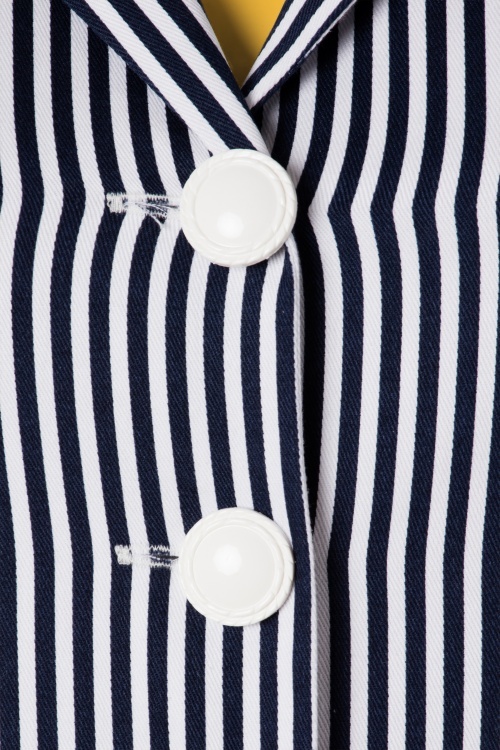 Made of sturdy, yet supple 100% cotton that is a joy to wear and features a stripe pattern on white and dark blue. 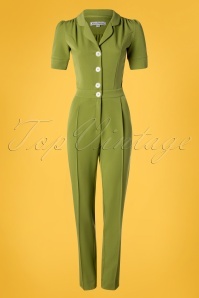 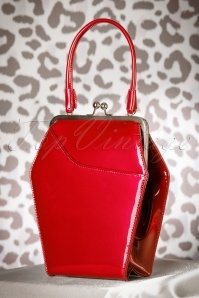 This iconic garment is the perfect choice for both work and parties... must-have!